MILAN (Reuters) -- The restructuring of the Fiat Chrysler group by its CEO Sergio Marchionne should be seen as a success story rather than a case of offshoring operations, Italian Economy Minister Pier Carlo Padoan told a newspaper. In 2003 Fiat was deeply in the red, posting a trading loss of almost 1 billion euros ($1.4 billion). Marchionne, who took the helm the following year, engineered a turnaround, culminating in the takeover of U.S. carmaker Chrysler. He has been criticized by some local politicians and unions in Italy for seeking to shift the group's centre of gravity away from its historic home base. The Turin-based carmaker, founded 115 years ago, has said it intends to register the holding group's headquarters in the Netherlands and seek a tax domicile in Britain. In an interview with Italian daily Il Foglio, Padoan said he had a positive opinion of what Marchionne had done at Fiat in recent years. "I think the Fiat story is not a question of offshoring but rather a magnificent case of industrial transformation," Padoan said. 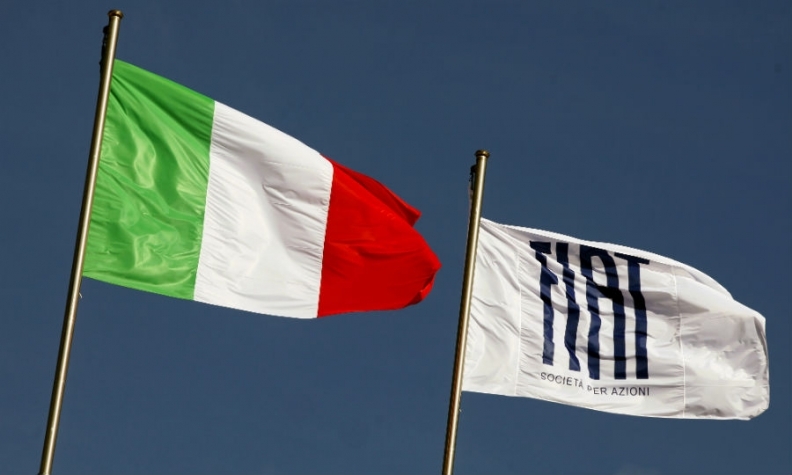 Moving its headquarters outside Italy has been a sensitive topic among unions and politicians eager to protect jobs in Fiat's home market but Padoan said the answer to preserving employment was to improve conditions for industry. "Our country should take steps so that staying in Italy becomes beneficial for the future of businessmen," Padoan said. Marchionne's attempts to change industrial relations with Fiat's workforce was also a positive move, Padoan said. "It's an example which I think should be followed." Marchionne is seeking to introduce a system that would give priority to labor contract negotiations at a company rather than at national level.